Fresh from the Hardwood Furniture Market in Holmes County! 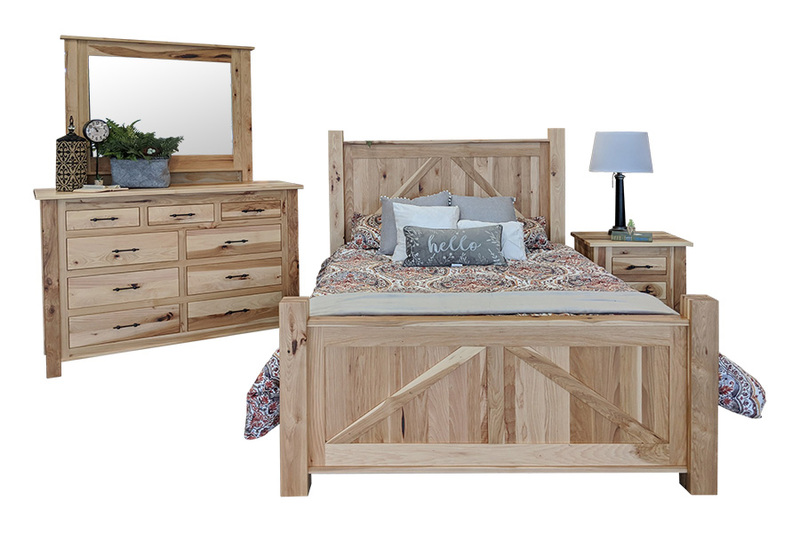 This beautiful Hickory bedroom set features bed, nightstand, chest, gentleman's chest... and more. Available in multiple sizes and finishes.